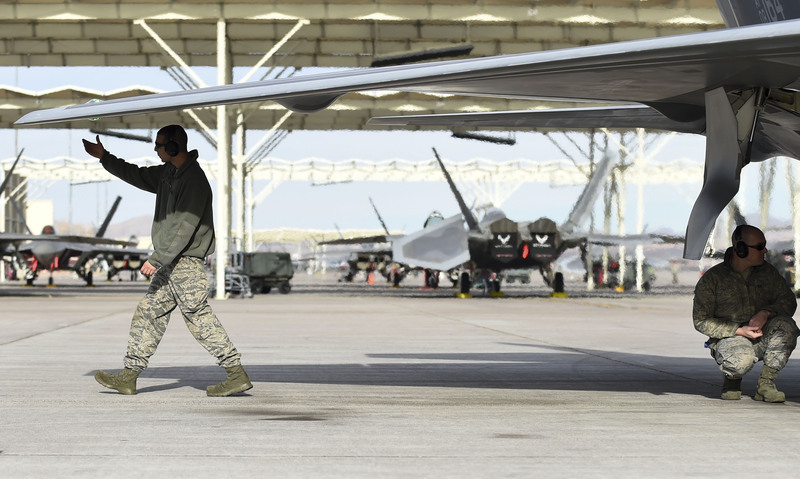 ST. GEORGE — The U.S. Air Force kicked off its Red Flag combat training exercise Monday out of Nellis Air Force Base in Nevada. Southern Utah residents can expect to hear the resultant boom, shake and rattle for the duration of the training until Feb. 10 and again Feb. 27 to March 10. Red Flag is a realistic combat training exercise involving the air, space and cyberforces of the U.S. and its allies. 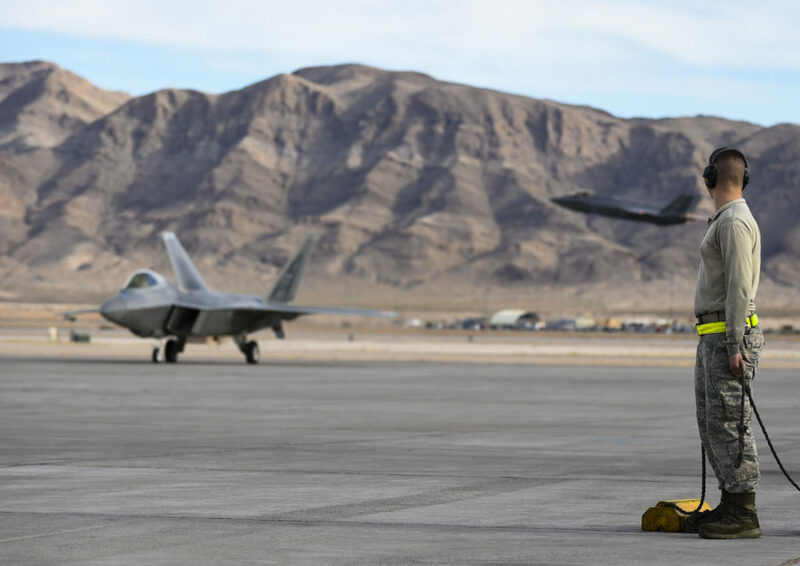 The exercise takes place north of Las Vegas at the Nevada Test and Training Range, the Air Force’s premier military training area with more than 15,000 square miles of airspace and 2.9 million acres of land. More than 80 aircraft are scheduled to depart from Nellis twice daily, and aircraft may remain in the air for up to five hours. Nighttime combat training operations will necessitate occasional night launches as well. 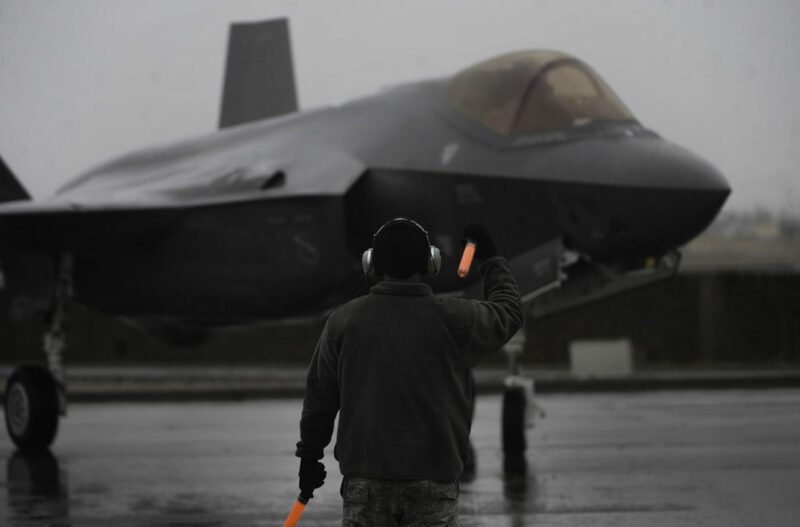 The Red Flag exercises give airmen an opportunity to experience advanced, relevant and realistic combatlike missions in a controlled environment and prepare maintenance personnel, ground controllers and space and cyberoperators to support those missions within the same tactical environment. Allied forces from abroad will join U.S. personnel in the training exercises. “We are ensuring over 30 different units and over 3,000 individuals from not only the U.S., but partner nations like the United Kingdom and Australia as well as our sister services have all the resources they need and require to learn and execute the best way of employing a combined large force package in a live-fly environment,” Master Sgt. Erick Matos, Red Flag 17-1 superintendent, said in the news release. A variety of aircraft will feature in the training regimen, including bomber aircraft, reconnaissance aircraft, electronic warfare aircraft, air superiority aircraft, airlift support, search and rescue aircraft, aerial refueling aircraft and command and control aircraft along with ground-based command and control, space and cyberforces. 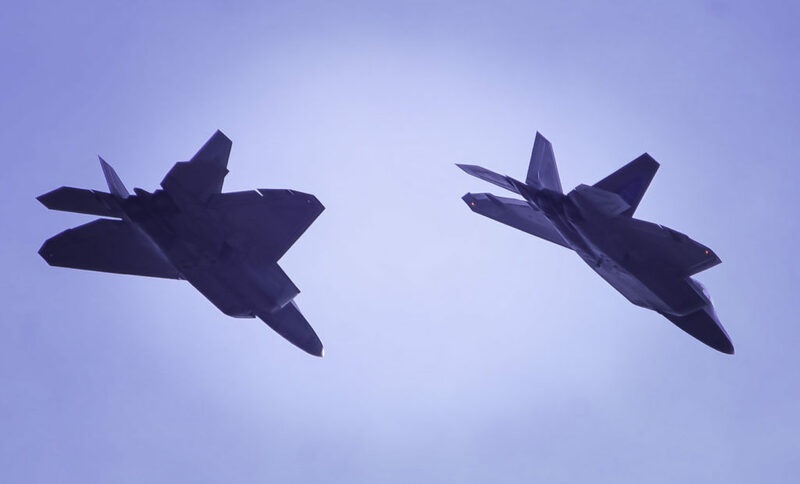 The Red Flag exercises commence on a yearly basis, but regular Air Force training is conducted throughout the year, occasionally producing loud booming noises throughout Southern Utah and Nevada during flyovers and munition testing. “We have received noise complaints, and people have said their houses are shaking and windows rattling,” Master Sgt. James T. Smith, NCOIC of Nellis Media Operations, said. Previously, the rattle was reportedly strong enough to break the windows of some SunRiver residents. More information about Red Flag and other Air Force operations can be found at the Nellis AFB website. Yes I hear it and feel it and it’s obnoxious. Are they pretending to blow up Putin now, or just the same trusty old ISIS muslims? Ahhh, that sound of Freedom making you scared? Maybe you need to build a saferoom in your basement? Just remember, every “boom” and “shake” you hear represents $10,000 (at least) in tax payer dollars. I’m all for being trained and prepared, but this is just a symptom of a massive military industrial complex that has very little to do with actual security. Think about how often our troops blow up a $3,000 Toyota pickup in the middle east with a $100,000 Stinger missile and consider it a success. Ugh. It is a success, for the people benefiting financially from the sale and development of the arms and the political corruption. Enjoy. I’ll take the shake and rattle over becoming a “downwinder”.